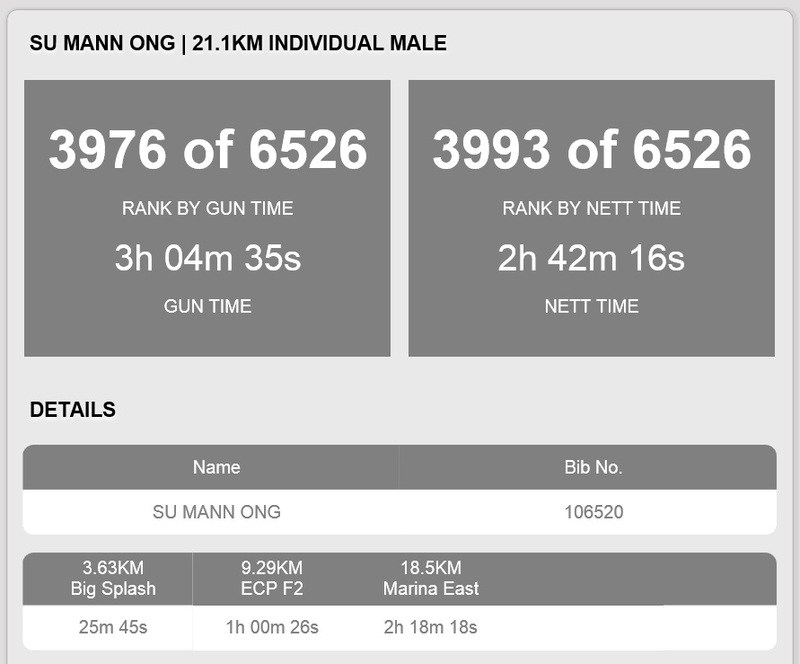 Just three years ago, I couldn't imagine running 10km. Yesterday morning, I completed the half marathon in under three hours at the 2XU Compression Run. I can now cross that off my bucket list. 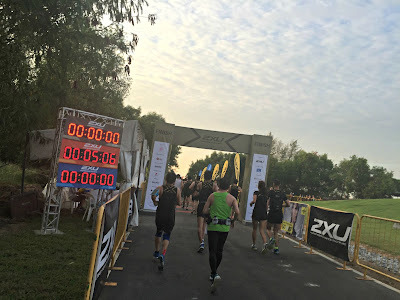 My first 21km run was actually the Safra Singapore Bay Run and Army Half Marathon in 2012, but I botched that one up by drinking water during the run and making myself feel bloated. I walked a quarter of the way and ended up with a timing of three hours and 36 seconds, just 37 seconds over my target of under three hours. 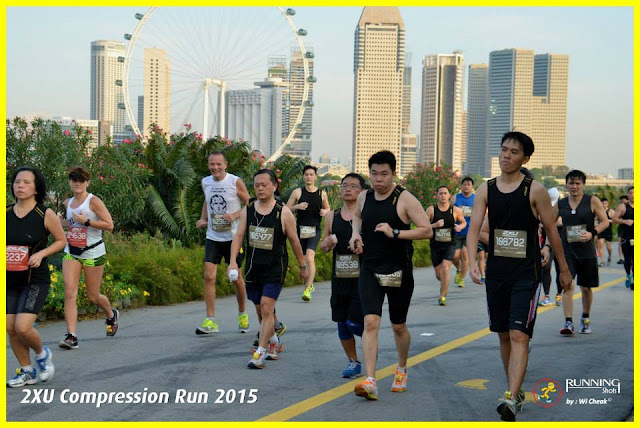 I promised myself not to make the same mistakes for the 2015 Compression Run in March. I was all psyched for it. So the run, originally set for March 29 (day of LKY's funeral), was postponed to Aug 2, more than four months later. In those months, I learned about "natural" running (land on your mid-foot, not your heel) and bought eight pairs of running shoes, auditioning for the perfect footwear for the half marathon. Damn my freakishly wide size 12 feet! 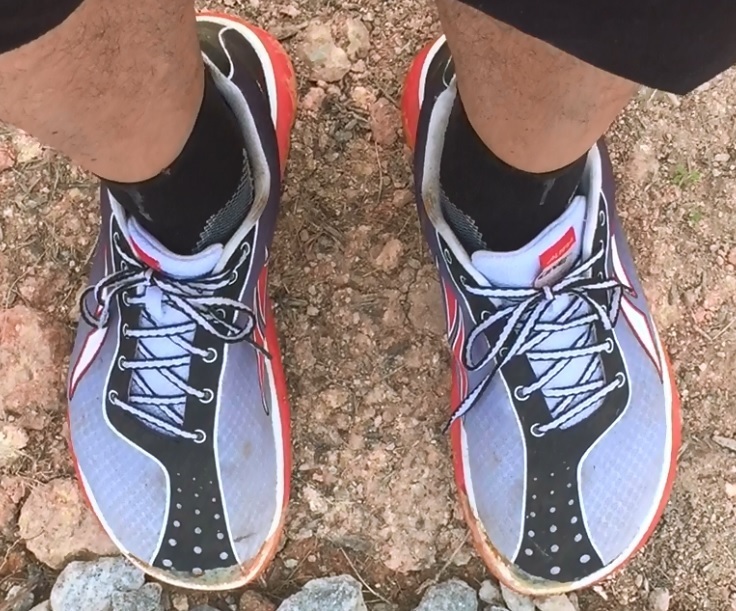 In the end, I wore the Altra The One2 yesterday. Not perfect but they are the shoes I paid the most for because they're hard to find in Singapore. The flag-off time was 4.30am and the starting line was at Marina East Drive, which is across the bridge from the Marina Barrage. I was in the third wave. By the time I crossed the starting line, it was 4.50am. The random first song I heard on my iPhone for my historic half marathon was Ain't That A Lot Of Love by Tom Jones and Mick Hucknall. The first 8km or so running along the East Coast beach in the dark was great. I avoided the Pocari and water points, and was overtaking people left and right. It felt so good I even told myself that I should sign up for a full marathon next. 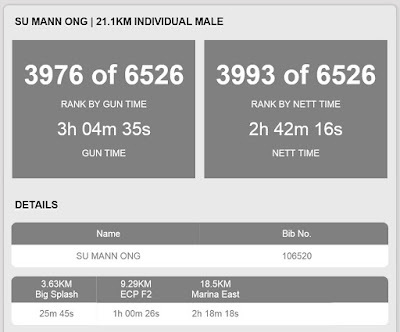 It was a case of counting my finisher's tees before they hatch as after the U-turn near the 9km mark, I was brought back down to earth. I couldn't keep up my earlier pace and everyone else was overtaking me left and right, including barefoot runners and members of the pioneer generation. By the 15km mark, I was jogging so slowly, even people who were walking were passing me. Might as well take a selfie. I decided that I also might as well get a drink at the next water point since I couldn't go any faster any more, thus breaking the promise I made myself two years earlier. I broke another promise to myself when I started walking intermittently in the final few kilometres of the race. My eventual timing was two hours and 42 minutes, which was good enough for me as long as it was under three hours. To celebrate, I drank alcohol-free beer for the first time. And I hate beer. 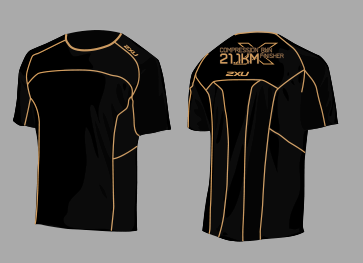 The real reason I joined the 2XU Compression Run: The finisher's tee reminds me of the X-Men movie costumes. Even the medal is an X.
I'll be 50 next year. 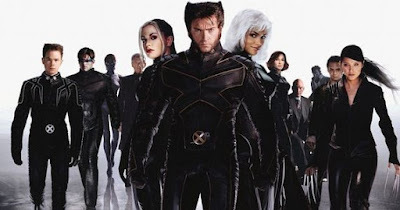 No more marathons, half or otherwise, for me.